NHS England has launched another pilot to test a web-based version of its non-emergency phone line NHS 111. 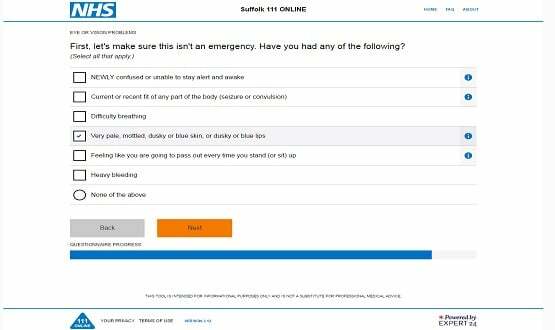 A 10-week trial of 111 Online is live across west and east Suffolk, and runs concurrently to the NHS 111 helpline. There are 65 GP practices involved, along with The Ipswich Hospital NHS Trust and West Suffolk NHS Foundation Trust. 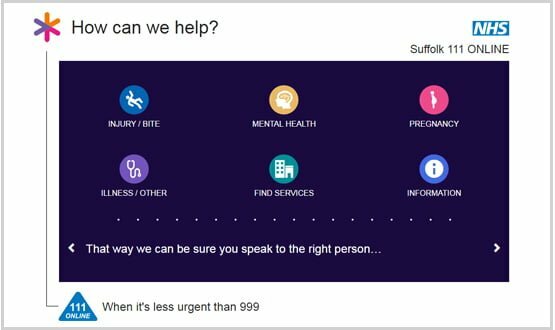 Ed Garratt, chief officer at West Suffolk and Ipswich and East Suffolk clinical commissioning groups, said in a statement that for some patients 111 Online represents the quickest and most convenient way to access trusted medical advice. The website allows users to input their symptoms via a step-by-step-guide, and can be accessed on computer, phone or tablet. If the website identifies that the patient needs to speak to a clinician, a call back is received and then the patient is triaged. 111 services in Suffolk are operated by Care UK, which also runs the county’s GP and dental out of hours services. The technology for the online service is provided by Expert-24. Amanda Carey-McDermott, Care UK’s new services director, said in a statement that the Suffolk’s pilot focus is “to gather as much data as possible on the behaviour of patients using the app” so that patients can be guided to the most appropriate local service. The trial began on 6 March, and a spokesman for the CCGs said the usage figures and patient responses have not yet been collated. 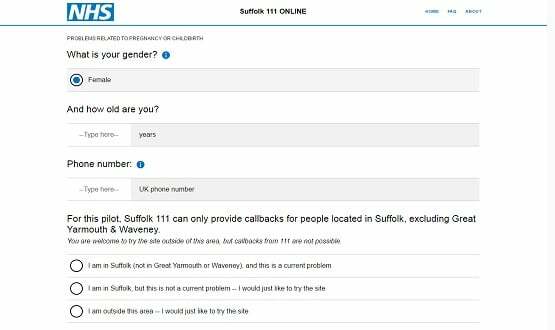 Suffolk is one of four areas in England where different approaches to 111 Online are being tested. The others are London, West Yorkshire and the West Midlands. An NHS England spokesman said the “pilots offer an opportunity to offer patients choice and flexibility in accessing care supported by clinical services”, and that the organisation is providing evaluation support to inform future design of services. The London pilot was announced in January and involved health app company, Babylon Health, providing a chatbot for north Londoners. NHS 111 receives about 15 million calls a year. An online version of NHS 111 has been attempted before back in May 2015 when alpha testing took place in Sandwell and West Birmingham CCG. Further back, a prototype for an NHS 111 digital service was piloted in Lincolnshire in September 2012. 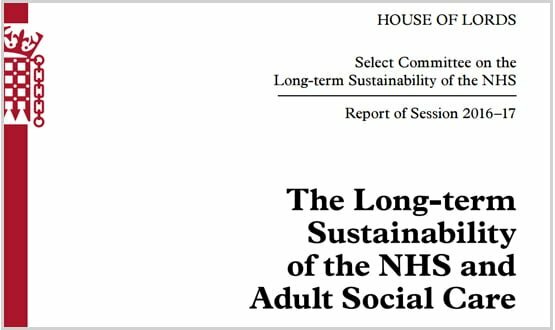 An online NHS 111 tool is also due to be linked with NHS Choices, according to the Personalised Health and Care Framework 2020. NHS Choices is currently being revamped to become NHS.uk. NHS Digital’s March board papers revealed a planned September go-live date for the revamp. Makes sense but these and other companies do need to do proper published clinical comparative trials not just process and monetary trials.